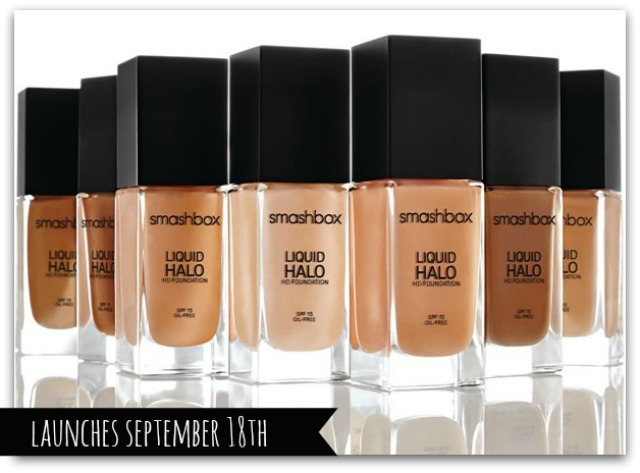 Halo is a Smashbox hero product: a mineral-rich powder that has gorgeous luminosity and really brightens up the skin. So here's a little bit of happy news for all its many fans - a lovely liquid version is headed our way! Launching on September 18th, Liquid Halo HD foundation will be available in 10 shades (mine is #2), all oil-free with SPF 15, which earns it brownie points before it’s even hit my mug. With its talk of liquid light technology and gel-covered pigments, this immediately called to mind another excellent foundation launch– YSL’s Le Teint Touche Eclat, which took the beauty world by storm last year. The idea is that the gel-covered pigments in the product will act like photo filters, blurring imperfections and giving the complexion a flattering, lit-from-within glow. And like the YSL product, this has also been created to work with skin's natural undertones, for a 'my skin but better' effect that effortlessly blends and is undetectable once it's on the skin. The main difference between this and Le Teint Touche Eclat? Liquid Halo lasts. I put it on in the morning and it stays put till the end of the day - no muss, no fuss - and quietly controls my oily tzone, too. Wearing no other make up - obvs! 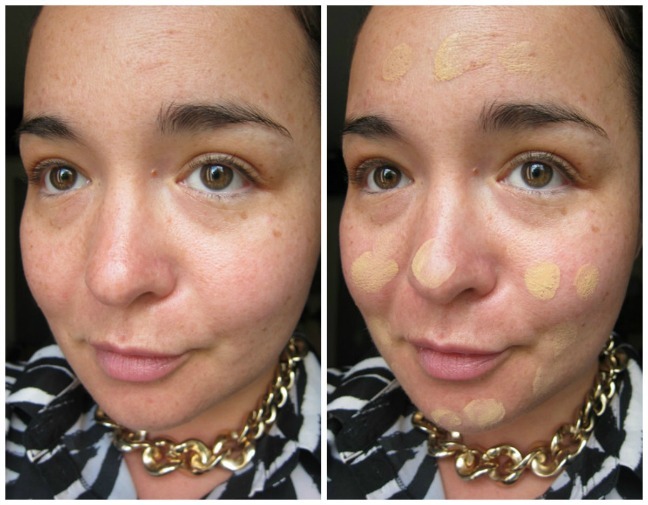 I’ve been dialling down my base coverage lately, reaching more often for BB creams than out-and-out foundations. So with this, I use the lightest layer on my face for sheer to medium coverage, though it can also be built up for a more perfected look. The finish is lovely - natural, demi-matte but glowy, (similar, actually, to Chanel's Perfection Lumiere) with a flattering soft focus effect - and you'd expect no less of its €35.50 pricetag. I'm definitely a fan - and you? Wow! This sounds like the dream foundation! There is so much excitement about this, I am really tempted to stray from my beloved Lancôme Teint Idole Ultra. 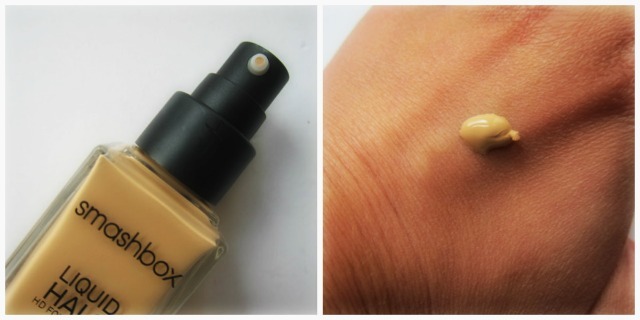 I love the yellow undertones in this shade, warms up the skin tone. Ive never tried any foundation by Smashbox before, sounds great, and I like how natural it looks on you. This foundation looks great Emma, your skin looks absolutely flawless. Will definitely have to check if there's a shade to suit my pale skin. Ooooo looks so good! Ill have to give it a try! It looks lovely on you! I think I will try this when it hits stores here! Well I love their primer, so I'll have to try their makeup too. So fresh faced - I love! This really looks lovely and natural on you Emma, like you're barely wearing foundation at all. I'm definitely interested in trying it when it's released. The finish looks beautiful on you. Steep price tag though so you're right to expect nothing less! I absolutely love it on you, what a flawless finish! Which would you recommend - the smashbox liquid halo or YSL touche eclat? Anonymous, it depends on your skin type - if you are drier, the YSL, and if you are normal/oily, the Smashbox I think.